The first Elmbridge Long Service Volunteer Awards were held on 18th October 2016, organised by Volunteer Centre Elmbridge and Elmbridge Borough Council, to celebrate and recognise the incredible support that volunteers contribute to the Elmbridge community. 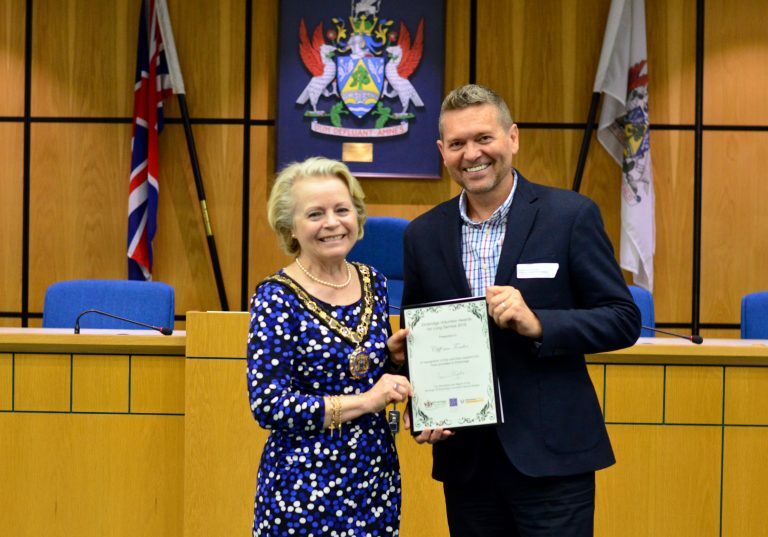 The celebration event was held at Elmbridge Borough Council Chambers, where nominated volunteers enjoyed a drink and canapés alongside their fellow nominees and guests before the ceremony. The awards were presented by The Worshipful the Mayor of the Borough of Elmbridge Councillor Tannia Shipley, who congratulated all 41 nominees and expressed her appreciation, on behalf of the Borough of Elmbridge, to all of the volunteers nominated and thanked them for their priceless contribution to our community. Melanie Bussicott, Head of Community Support Services (Elmbridge Borough Council) and Claire Dewsbury, Volunteer Manger (Volunteer Centre Elmbridge) read out the citations, highlighting the many invaluable contributions made by the nominees at a special ceremony. The Elmbridge Volunteer Awards 2016 was a collaboration between Volunteer Centre Elmbridge and Elmbridge Borough Council. 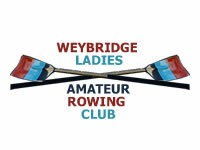 With thanks to Councillor Margaret Hicks who provided funds for the Awards. Among the Award Winners was Cliff van Tonder who formed and runs Surrey Music which now comprises of two large community choirs that rehearse weekly in Cobham. The community-based society has raised in excess of £140,000 for numerous charities through concerts and performances over 11 years. In a communication to Surrey Music members, press officer Debbie Groves said “I’m sure you’ll be delighted to hear that, on behalf of Surrey Music and in recognition of his 11 year’s sterling service to Elmbridge, our very own Cliff has been nominated in the Elmbridge Volunteer Awards 2016. I’m sure we all believe that Cliff deserves to be recognised for his achievements within our community over the last 11 years, and for the difference he has made to the lives of so many: our members who are given the opportunity to express themselves through music, the numerous charities who have benefitted from our concerts, our grants beneficiaries and our audiences who enjoy our diverse repertoire. Without Cliff there would be no Surrey Music, and it is down to his sheer hard work that the society is still going strong, with many of our original members – aged up to 90 and beyond! – still attending weekly rehearsals. There is no doubt that our members’ general wellbeing is enhanced by the friendship received from Surrey Music.